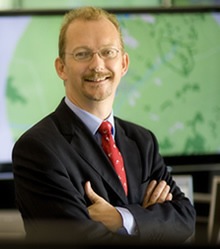 The A6 – an alliance of some of the largest and most influential Air Navigation Service Providers in Europe – has today announced that Richard Deakin, Chief Executive Officer NATS, is to become Chairman of the group. The A6 alliance was formed in 2007 to ensure that ANSPs had a voice in SESAR. As one of the biggest investors in the ATM infrastructure of the future, they have a pivotal role to play in ensuring the successful deployment of this technology programme. The A6 alliance is formed of the six ANSP members of the SESAR JU – Aena (Spain), DFS (Germany), DSNA (France), ENAV (Italy), NATS (UK) and NORACON – a consortium involving Austro Control (Austria), AVINOR (Norway), EANS (Estonia), Finavia (Finland), IAA (Ireland), LFV (Sweden) and Naviair (Denmark). Collectively its organisations control over 70% of European air traffic and 72% of the investment in the European Air Traffic Management infrastructure of the future. Single European Sky (SES) is Europe’s response to the challenge faced by the aviation industry and is the research phase of the Single European Sky programme. Launched by the European Union in 2004, the idea is to reform the architecture of European airspace to help meet future safety and capacity needs. SESAR is the programme that will deliver the technology and procedures that will help deliver Single European Sky. The aim of SESAR is provide an effective remedy to air transport capacity bottlenecks, fill gaps in the air traffic management system, enable significant reduction of CO2 emissions, improve safety, and reduce overall costs. SESAR benefits all EU Member States and extends beyond the air transport industry.